inscription: Centered on the bottom edge is "OM" in black. Stamped on verso bottom right in black ink: "Published In U.S.A. / Distributed By / Ben Grandy Company, Inc. / 1355 Market Street / San Francisco, Calif. 94103". 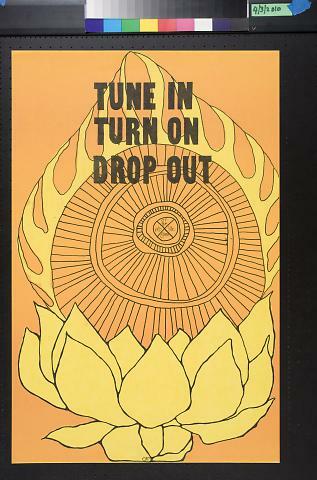 Poster printed on yellow paper with a stylized orange image of what appears to be an eye on top of a flower surrounded by flames. 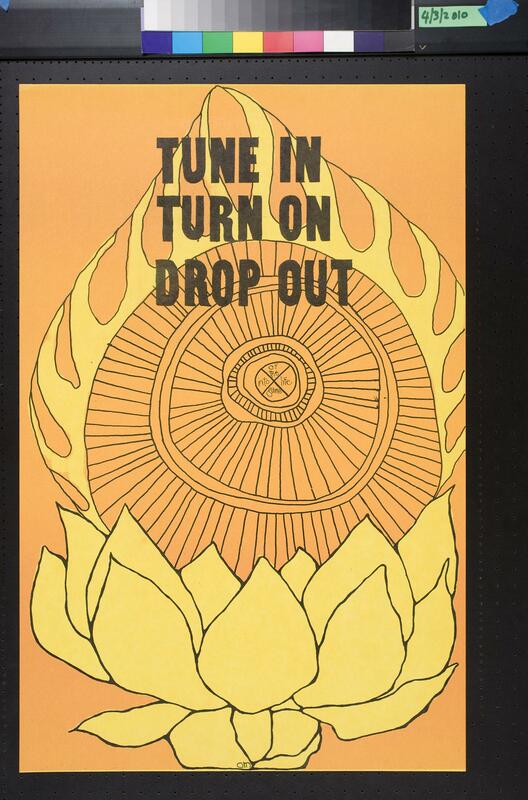 At the top is "Tune In / Turn On / Drop Out" in black. The center of the "eye" has been divided into quadrants with "of / the", "into", "life" and "game".